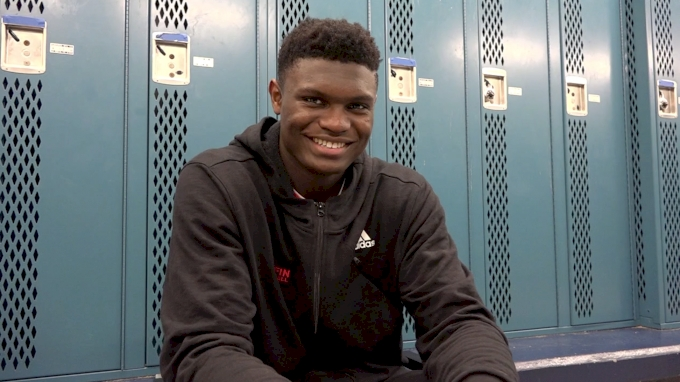 COLUMBIA, S.C. — Zion Williamson is not the typical 16-year-old kid -- far from it. The hype surrounding the Spartanburg Day (SC) junior has a life of its own and has everyone wanting to see what he might do next. In order to watch the 6-foot-8 forward in person takes patience and perhaps a little luck. Just ask the droves of hoops fans who got turned away at the door of Richland Northeast High School's gym this week, because the Chick-fil-A Classic was at capacity hours before he even took the floor. The buzz is legitimate. Williamson can dominate any gym’s attention just in warmups alone. Yet, it’s what he can do in games that creates such jaw-dropping excitement. Williamson certainly did not disappoint in the star-studded holiday tournament en route to earning National Division Most Outstanding Player honors. And that is only one word of many that could describe what took place. In three games, the nation’s No. 2 prospect for 2018 averaged 35.7 points on 78-percent shooting to break the tournament’s all-time scoring record and also averaged 12.3 rebounds. The numbers are as off the charts as his athleticism, and just think, this is only the beginning.